Today my friend Michelle from Calculus to Cupcakes is sharing a great recipe with us AND just in time for those New Year's Eve parties! Perfect timing Michelle! and a big thank you for sharing. 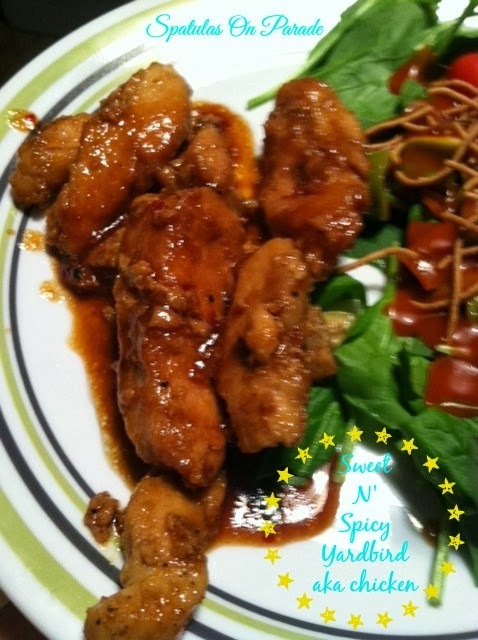 Be sure to stop by her social media links and check out her recipes. 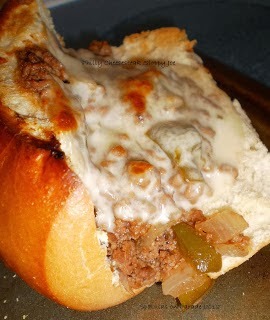 She does a great Monday post with "man food" that you are sure to enjoy. 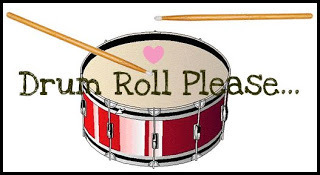 Hi, I am Michelle from From Calculus to Cupcakes, and I am very excited to be doing this guest post for my friend Dawn! 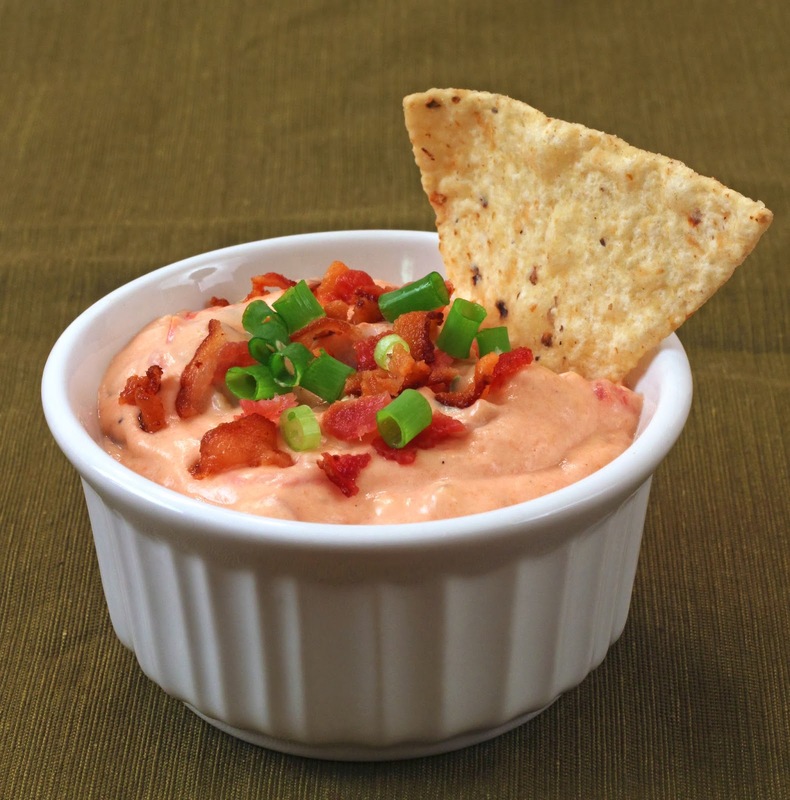 This is bacon, horseradish, and fire roasted tomato dip is just delicious and would be great for holiday parties or football watching, etc. My husband and I came up with it when trying to come up with a new take on the classic cheese and tomato dip. We still wanted hot and cheesy, but wanted a different flavor instead of the usual Mexican flavor you find with these dips. I made this recipe on the stove top, and we ate it right then, but if I were making it for a party, I would transfer it to my little mini slow cooker on warm, so it didn't cool off too quickly. If you put it in the slow cooker, be sure to stir in occasionally, so that it doesn't burn. Mine is an older model that gets hotter than I like on warm, and I sometimes have to turn it off and let it cool down for a while to keep things from burning. We ate it both we tortilla chips and crackers. My son preferred the crackers while my husband preferred the chips, and I liked them both. Add the bacon fat to the bottom of a large saucepan and swirl it around to grease the bottom of the pan. This will help keep the cream cheese from sticking. Stir in the tomatoes and 1/3 cup of juice. Heat over medium stirring constantly until the cream cheese is melted. Add the extra juice if needed. Stir in horseradish, Monterrey Jack cheese, bacon and scallions (reserving a little bacon and scallions to garnish). Continue to heat and stir until Monterrey Jack is melted and everything is well combined. 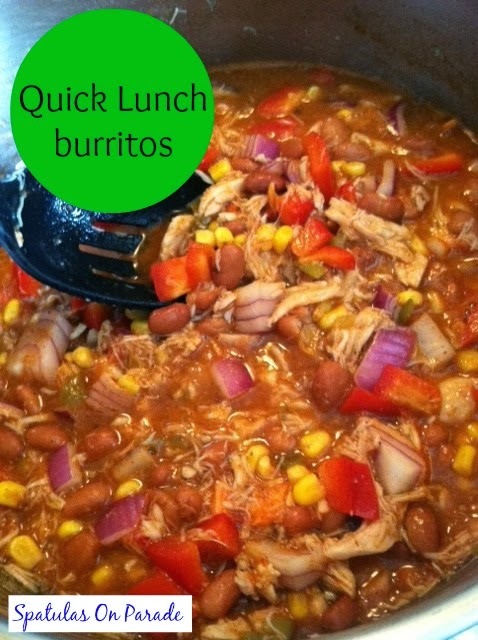 Serve immediately with crackers or tortilla chips or put in a slow cooker on warm. Garnish with reserved bacon and scallions. I hope you all had a Merry Christmas and that you were able to spend a lot of time with family and friends. I am at 'home' with my family in North Carolina. My boys, mom and grandbaby aka Miss Sassy Pants. During my absence you have been treated to a few guest post, today is no different. Sharing with us is Joy from Yesterfood. If you haven't been there, you should. She is one of my blogger friends that inspire me, she has a love of history and that shows in her vintage recipes. Which are near and dear to my heart as well. Thank you Joy! it is much appreciated. Hi, Everyone! 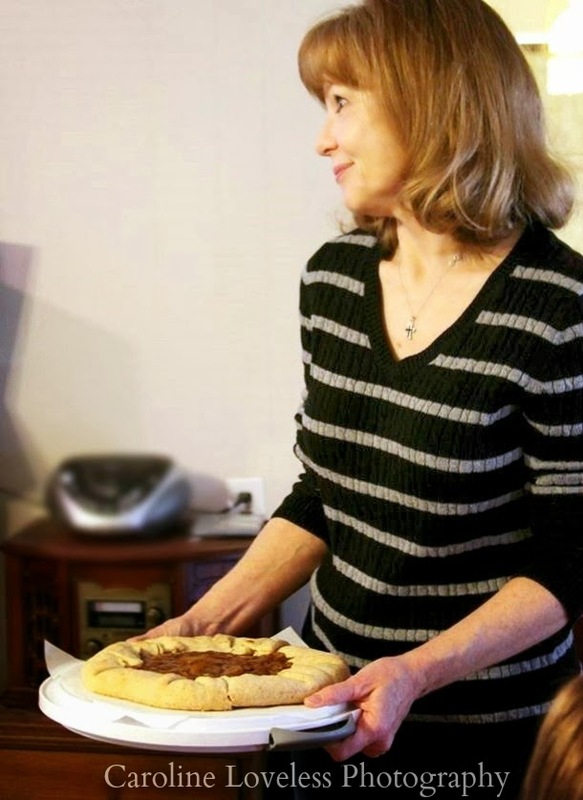 I'm Joy from Yesterfood, where I blog about recipes and cooking. I especially enjoy vintage recipes and old cook books- they hold a special place in my heart. I love how cooking connects us to each other and to the past, and now to you! 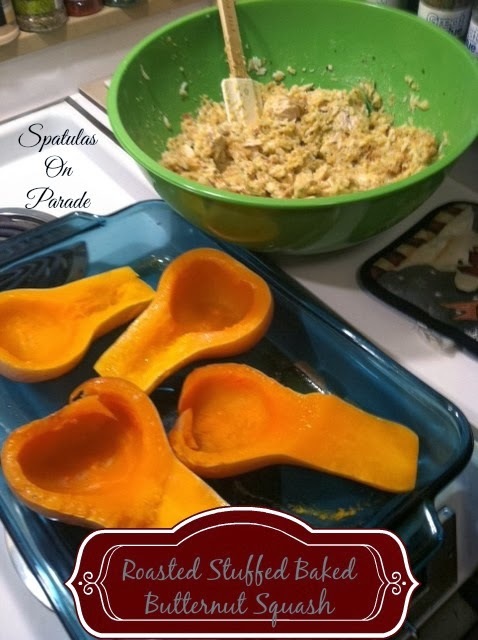 I am so happy to be guest posting with Dawn here at Spatulas on Parade. Dawn is one of the first ladies I met when I first started blogging, and I have enjoyed her writing and recipes ever since. 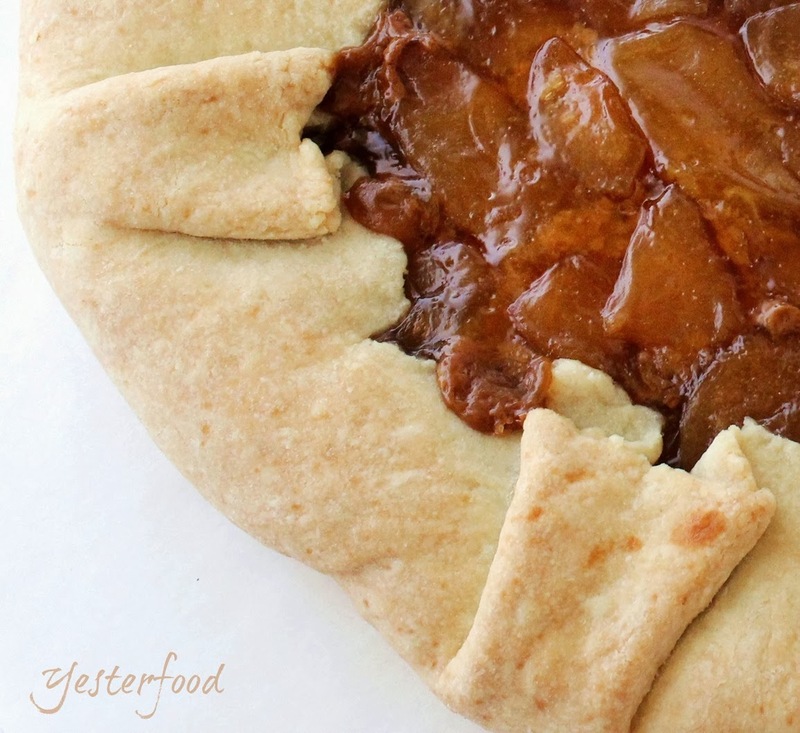 I have brought a Dulce de Leche Apple Galette for you today, and it's from a recipe by another blogging buddy of mine, Jamie at Love Bakes Good Cakes. 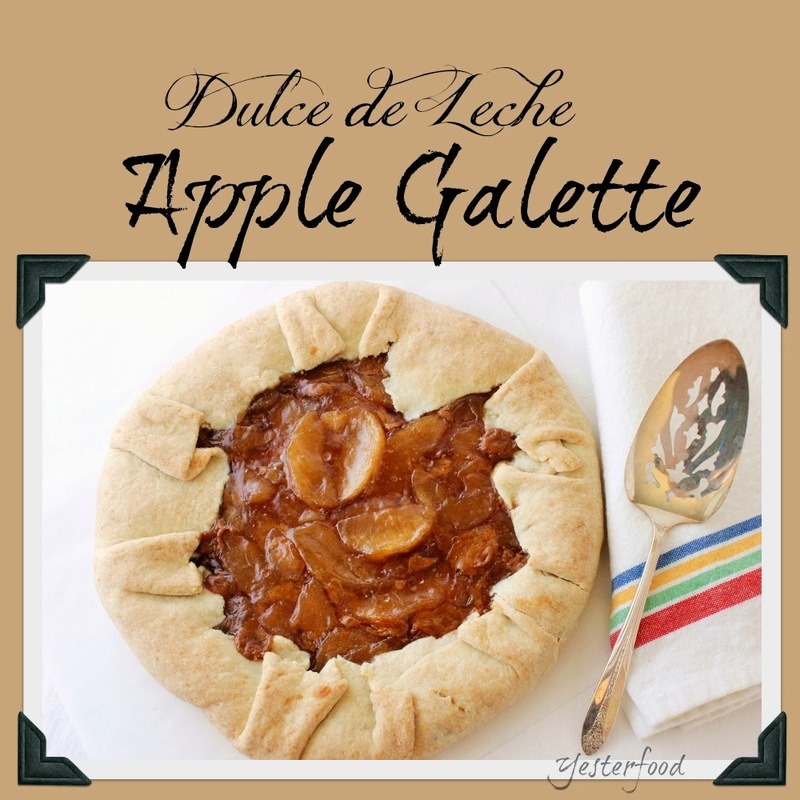 She made a Caramel Apple Galette, I loved it immediately, and ended up making it for my family at Thanksgiving. It was a big hit! 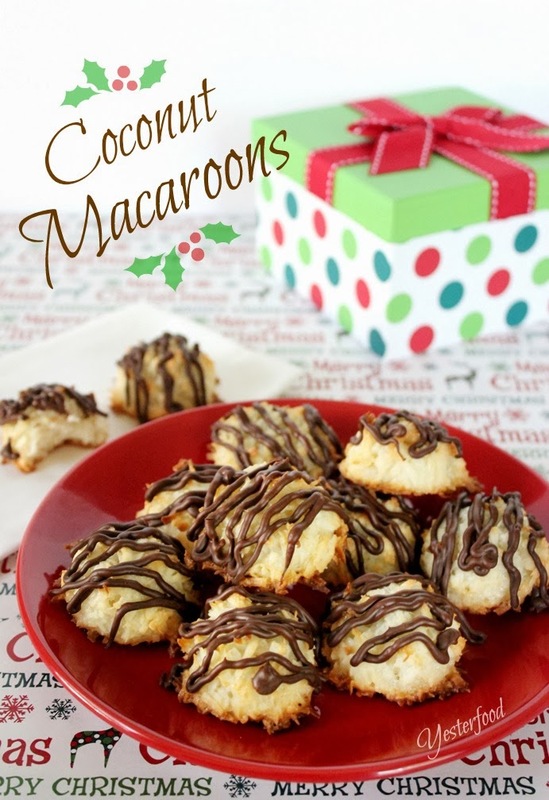 And because it's so close to Christmas, I brought some Christmas Cookies for you, too! I am spending the day in NC with my boys, mom and Miss Sassy Pants. 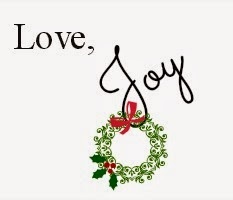 It is my prayer that you are having a Merry Christmas and enjoying love, laughter, food and TONS of dessert! 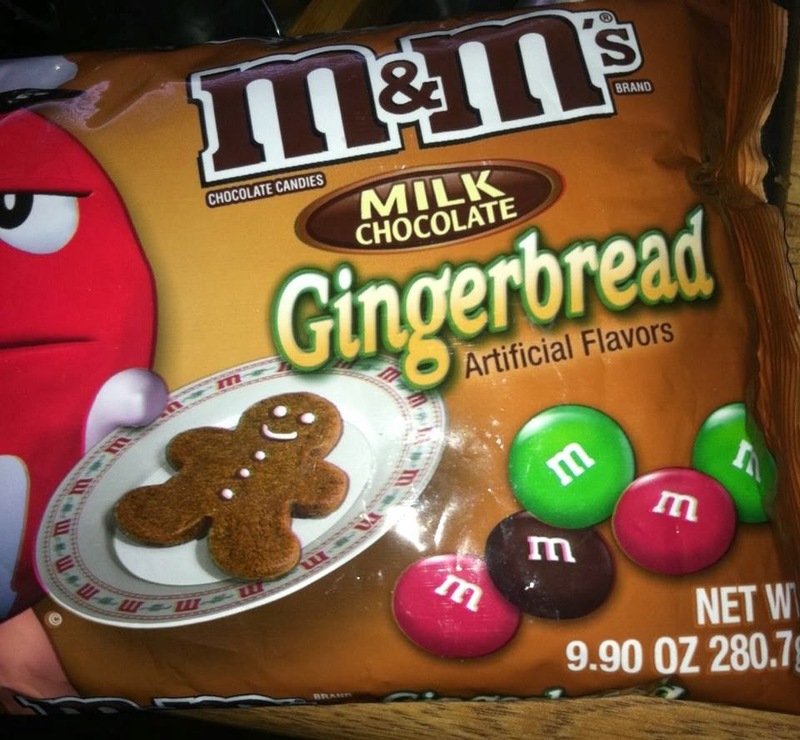 Are you looking for a treat? A snack or a little something to leave for the big guy, besides cookies? Good, then I have just the thing for you. 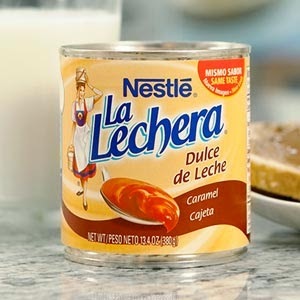 See, these all came about because I was wanting something sweet, was almost out of sugar and it was late. So I really didn't want to get out of my pj's to go to the store. Yeah, yeah I know. I see folks in Wal-Mart in their pj's but not this chick! So there I stood, looking in the pantry trying to decide WHAT to bake. I wanted sweet, I wanted crunch and hearty. A satisfying snack. I got it! So I pulled out all the ingredients and set to work. It only took a few minutes and BAM I was done. With what you ask? 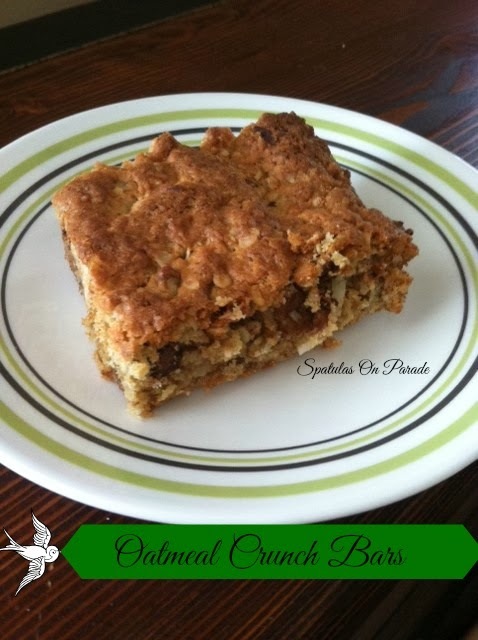 The perfect snack cake/bar. Not really a cake, because I think of cake as soft and fluffy, not a brownie because those are thick and chocolaty, a bar because you can cut it and hold it in your hands. 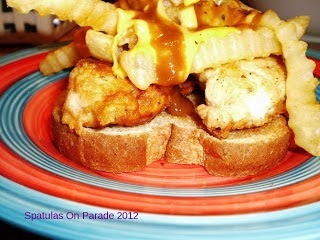 No dishes required, guys love that, finger food. 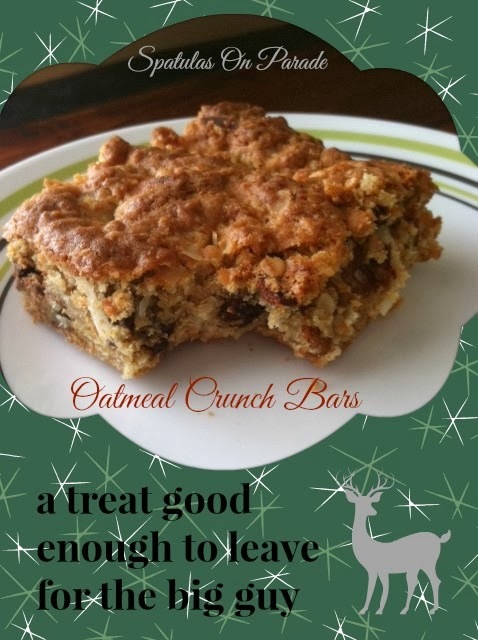 So the Oatmeal Crunch Bars were born, and soon devoured. Grease a baking pan, I used a glass pan (size 10x7) , preheat your oven to 350 degrees. In a mixing bowl, beat your sugars and butter. Add the egg and mix well. In a separate bowl, combine your dry ingredients and mix well. Now combine them together. This will be very thick and will take some arm muscle to combine it all. Spread in the pan and bake for 15-20 minutes depending on your oven. Allow it to rest for at least 15 minutes before cutting and serving. Great hot out of the oven and just as good cold the next day. Cut into bars and store in an airtight container. 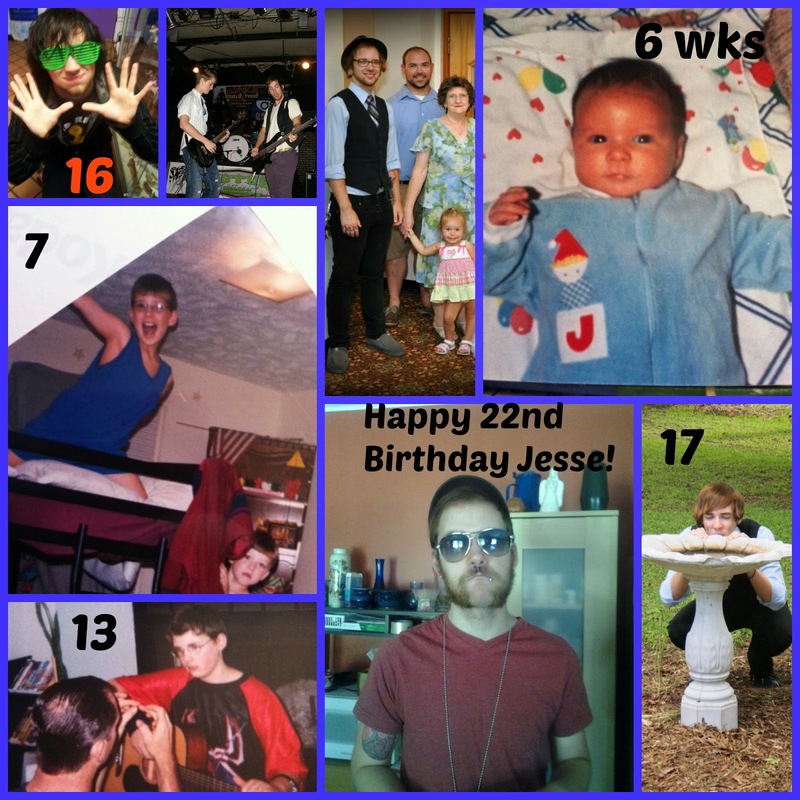 to you Jesse, my fun loving, creative, artistic, musical, generous, kind hearted son. Jesse is very much like me, a foodie at heart. He loves food, all food, loves to eat and enjoys cooking. I could see him being a chef in a soho area in Cali featuring lots of local artist. He would fit right in. He has a lot going on, at 9 we found out that he had dysgraphia, a form of dyslexia and that he had enthesis enthalgia a form of Juvenile Rheumatoid Arthritis. That same year he had issues with his blood sugar bottoming out. Soon we found out he was also Type 1 Diabetic and was immediately put on insulin, 2 types and 4 shots a day. That lasted for 60 days and he was put on a pump. Due to the JRA he was not allowed to play contact sports, which these days is everything. Thankfully we homeschooled and I was able to find other activities for him. Bowling was one, he loved and was quiet good at. Also, rock climbing, that was very stressful and physically demanding but he enjoyed it and there was no contact with others. Still accidents happen. He has a God given talent of great musical ability. He can play any instrument and play it well. He writes songs and has been in several bands and on a few CD's. Not bad for a 22 year old. For the last 2 years he has been a Paul Mitchell stylist. His newest job, soon-to-be Daddy. He and W are expecting a little boy in April of 2014. Which will be here in the blink of an eye. With all these medical conditions and the stress of life, he has keep going. He does not whine, complains little and on occasion as any of would, has said "WHY me" but that does not keep him down. I am very proud of how he has handled all these struggles. He is a strong young man and will make a wonderful father. At the age of 12 Jesse started working in the nursery at church. He loved it and the kids loved him. He worked with the one year olds and then when we moved he moved up to the two year olds. He has a special way with kids and animals. A calming spirit that soothes them. A no non-sense person with a giving spirit. Jesse I love you and am proud of who you have grown into. This has been a busy and stressful couple of months. Well, all year really. We have lost 6 family members this year. Lost a job. Had to move. Our youngest son joined the Air Force, got married and moved away. Our oldest lost his job and will be a daddy soon...the list goes on. But through it all, we have survived and God has remained faithful. During the holidays and Christmas, I decided to relieve some of my stress by reaching out to my wonderful blogging friends. In doing so, they have very graciously agreed to do some guest posting for me! I'm super excited about this. One, I get a break, two you get to see how great they are and three we all gain new exposure. 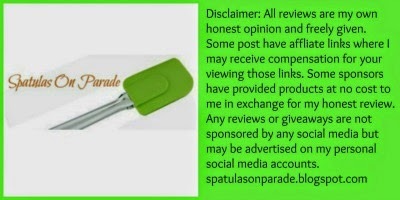 You will see post scattered here and there until the end of the month. Joy from Yesterfood, Joanne from The Winelady Cooks, Cynthia from Feeding Big and Michelle from Calculus to Cupcakes will all be sharing with you. Our first up is Joanne. 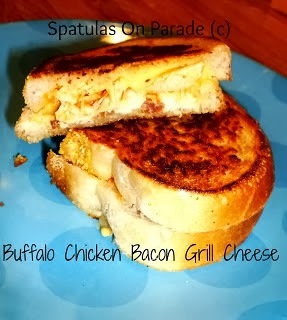 Thank you so much to her and if you aren't familiar, please check out her blog and follow her on Facebook, AFTER you read this great recipe she has shared with us today. Measure out the flour and baking powder in a small bowl and set aside. In a large bowl beat the eggs until foamy about 30-45 seconds. Add the sugar, 1 cup of the flour mixture and the milk and mix well just until blended. Add in the remaining flour mixture and mix until well combined. Bake at 300 degrees for 45 minutes. Increase oven temp to 350 degrees and bake another 15 minutes, or until cake springs back and cake pulls away from the sides of the pan. Remove cake from pan and cool on wire rack. 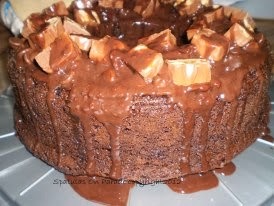 Melt the chocolate chips and spread over top of cake when cool and then add the shredded coconut. You can serve it immediately or cover and set aside until ready to serve. TIPS: This recipe can be altered to your preferences. **You can use 1 1/2 cups of AP flour, 3/4 cups granulated sugar, and whole milk if you prefer. My Very Best Wishes to Dawn and her family in their new home and a Happy, Healthy and Prosperous New Year. As you know, if you've been around long, you know that the 20th of the month is #flyonthewall and a recipe. If you're new, well, you are in for a treat! 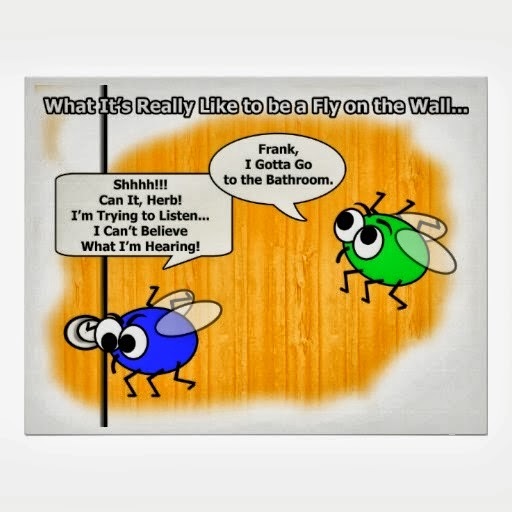 Fly On The Wall post is just that, what you would see or hear if you were a fly on the wall in my home or following me around. Oh boy!! This can be scary -haha. How about a quick lunch idea first? While we were moving, I didn't want to eat out, too expensive, plus we had food to use up. Non-perishable was easy to pack and move but in order to use the perishable I had to use up some of the non-perishables. Combine all ingredients, mix well and heat through. Wrap in a flour tortilla with shredded cheese and serve. 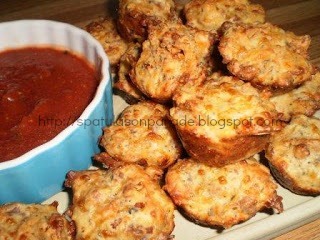 You can also roll, place in a casserole dish, cover in sauce and cheese, bake and enjoy! I like sharing with all of you my little grand daughter and our funny conversations, those of you who are faithful in stopping by each month, you know her as Miss Sassy Pants. What has she said now? We are sitting around the table just talking and J comes in, pops up on the bench and looks at me. Later she comes up, pops up on the bench and says : you still laxing? J runs into the room and out, into the room and out, third time, "HEY I lub you"
J: runs back in "whut you said?" Me: I laugh, I said I love you. My Aunt Linda ask J if she is ready to eat. J; YES I ready. My mom turns around and hands her a piece of turkey and says "here it's chicken"
J: eats it and looks at Aunt Linda "mmm good chicken"
Aunt Linda says "it's turkey not chicken"
J: spits it out, yuck I don't like turdy! 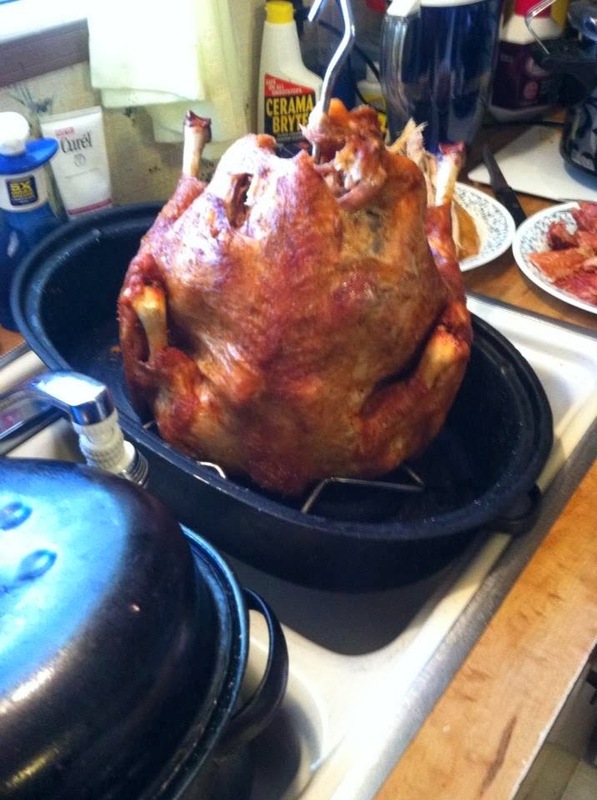 My oldest son deep fried a turkey and we had a traditional roasted one as well. My cousin Tina and I are sitting at the table talking and J walks in as we are talking about our granddaddy. He passed away 21 years ago and we still miss him. left, my husband . Right, standing, my oldest son. 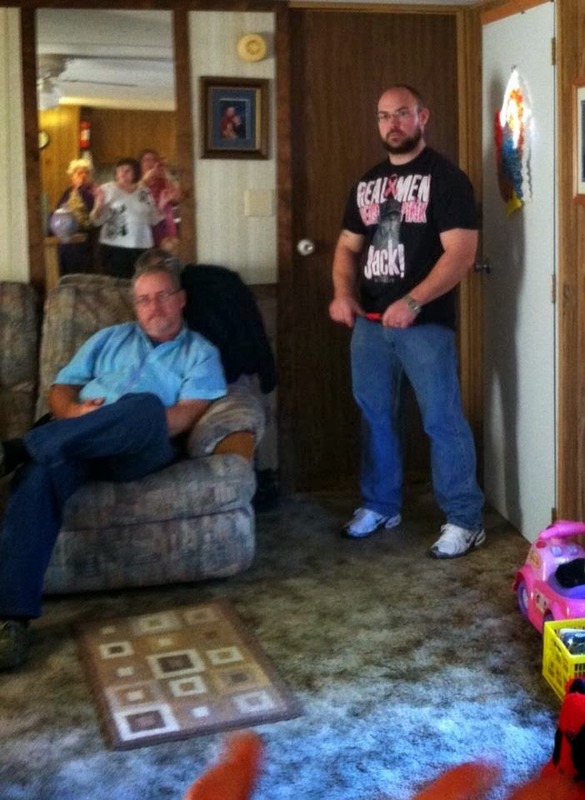 FUNNY you can see my Aunt Linda, mom and myself in the mirror! Now that we have relocated and live in the "Deep South" Georgia, you'll be reading stories about "Little Man" my husbands cousins son. He is the sweetest baby, good natured and a total crack up! He is 1 year old and has started jibber jabbering like crazy. His LaLa (grandma) was trying to get him to say hot dog one night. ROTFL too cute! If we ask him today to say "hot dog" he goes bow wow! Remember I told you months back about our garden and how MANY squash we had? I wasn't kidding, we are still eating butternut squash. 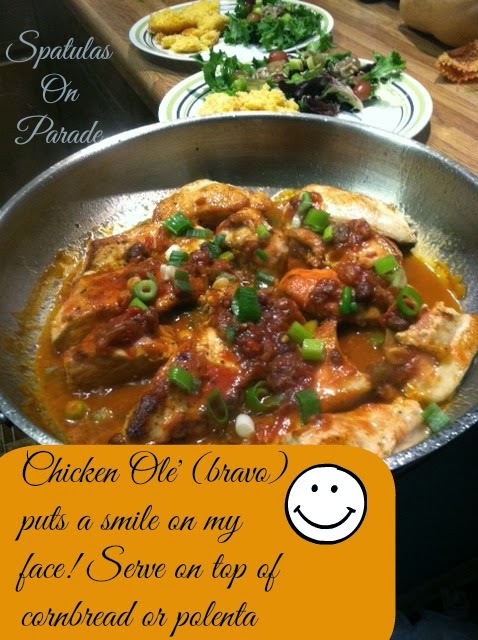 This recipe is great, I made this one night and had enough that we had 2 more meals. NOW that's what I call frugal living. 3 meals out of 1 and the cost winds up being less than 50 cent a serving! YES you did read that right. I mean, can you go out to eat for 50 cent? I think not. Plus it was really good and full of nutrition. 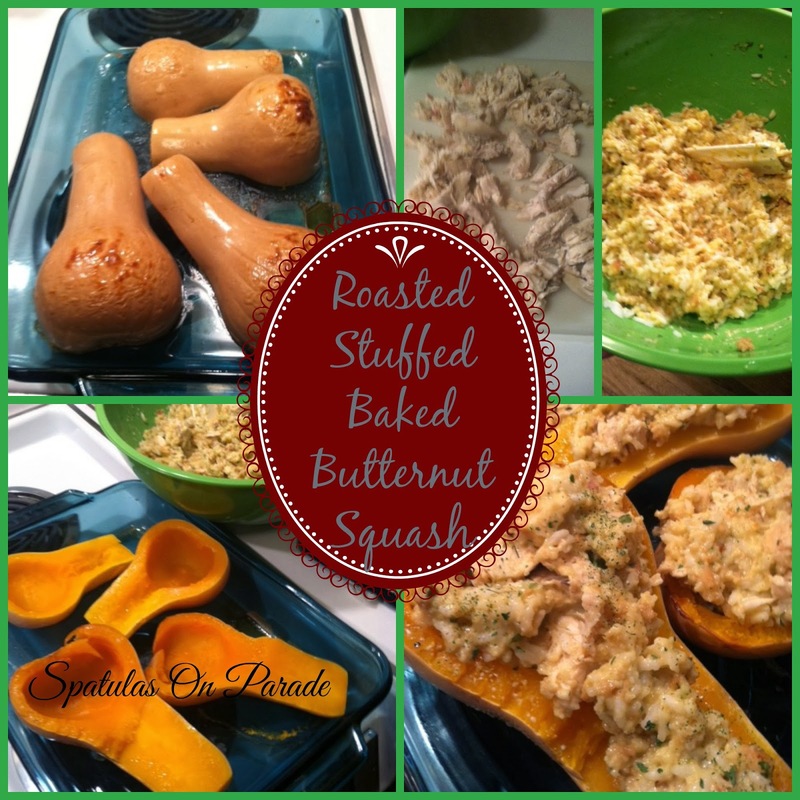 Did you see the post I did, well a round up of butternut squash recipes? I'll have to add this one. 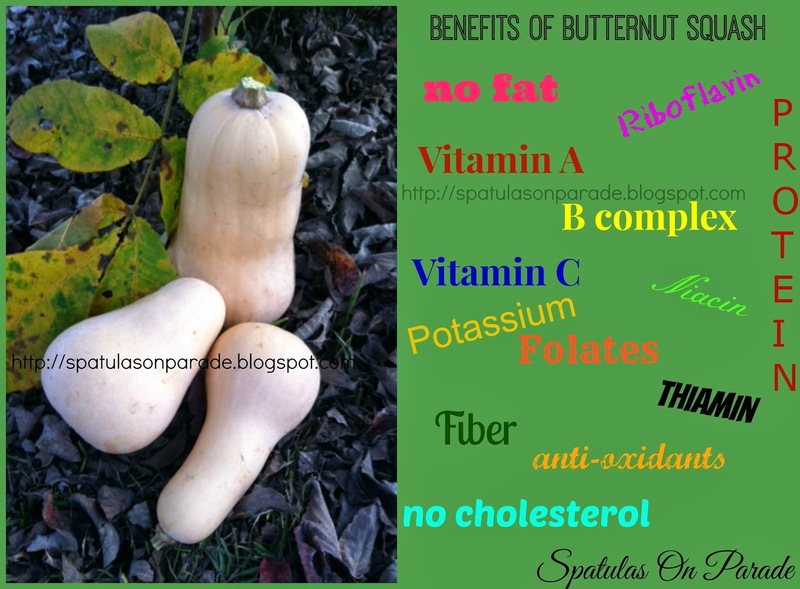 Since I still have so many, yes I moved them with me :) I had been planning on doing a stuffed butternut for some time now, just had not gotten around to it. So I finally did it. You could use leftover turkey, stuffing and rice in this dish instead of cooking chicken, if you have leftovers from Thanksgiving still or even AFTER Christmas to use up that turkey. Great use of leftovers, even if you buy a rotisserie chicken, as only a small amount is used. Cut you squash in half length wise and scoop out the middle. Place upside down in a pan, roast for 30 minutes at 350 degrees. 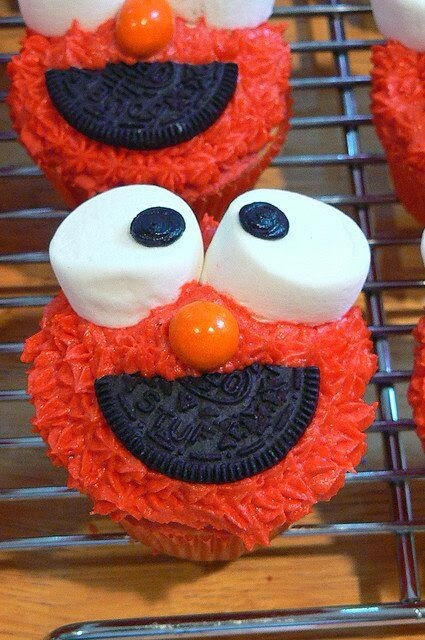 Don't worry if they are not fully cooked, you will fill and bake them. Mix your cooked rice and chicken in a bowl with your stuffing mix (fix according to package) and can of soup. Stuff the squash and bake for 25 minutes at 350 degrees. Sprinkle with parsley and serve! Since there is only 2 of us now, this made 2 separate dinners for us. AND there was TOO much stuffing/chicken to fill all four halves. So that was eaten on a third night. 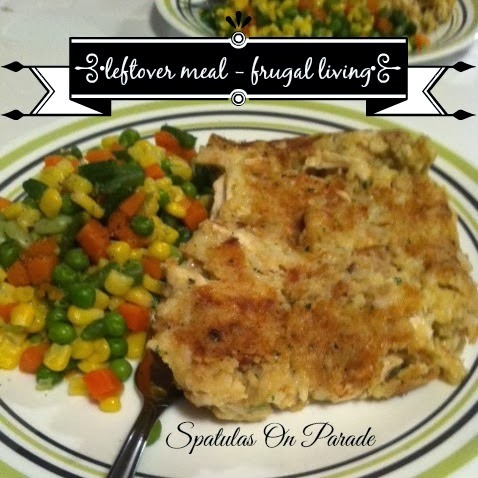 3 meals in 1, how frugal can you get? Okay, back to the pies. Over the last year, I have made several pies, actually, way more than I thought I had. I started going through my post and was shocked at just how many I had done. I will be traveling this holiday season. Yes, during Christmas. (WOOT going to NC to see my boys!!!) But wanted to gather up those pies, round up those doggies and share them with you. JUST in case you on the hunt for a good pie to take to your new mother-in-laws house, or to Great Aunt Sue who bless her heart can't cook for spit....oh I digress. This is just a little teaser of the great pies listed. ALL worth checking out! 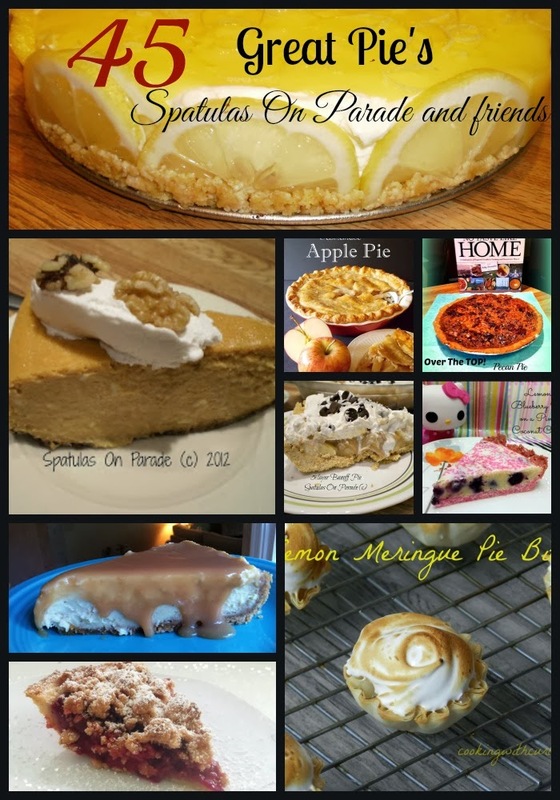 Special thanks to my blog friends for letting me list their great pies! 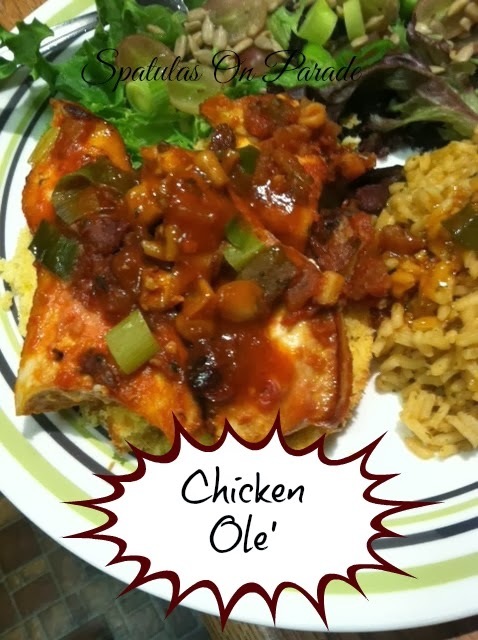 I thought just saying Mexican chicken or TexMex chicken sounded boring, so Ole' as the bull fighter would say! 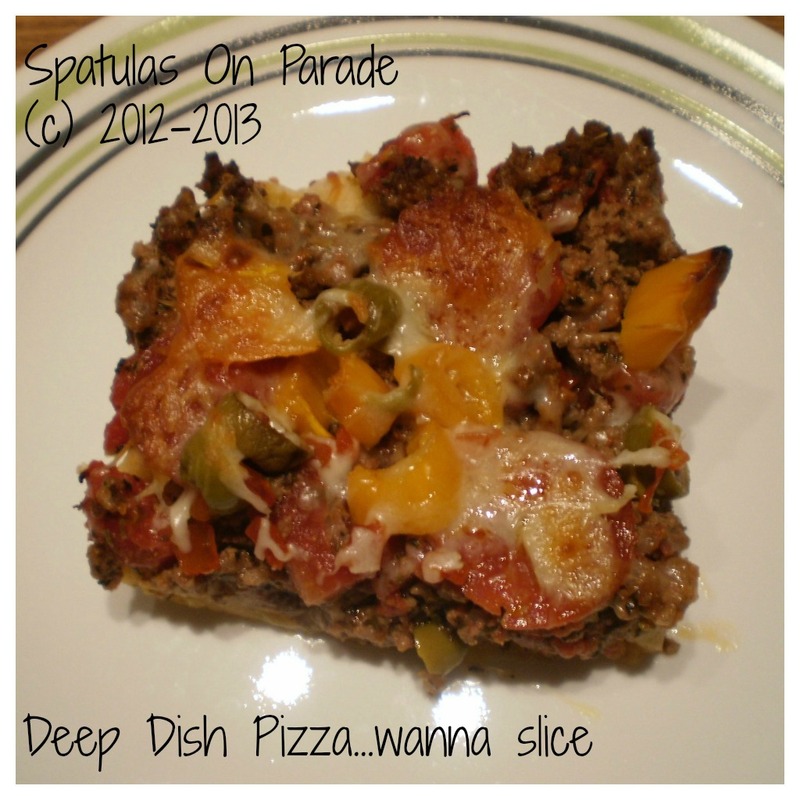 This dish I made while we were in transition, well packing our house in NC to move to GA. I had forgotten about it until I found the photos and was like "oh snap! I didn't post this" yeah I said snap. My boys will be rolling their eyes. haha gotta love it, right? This dish is easy enough to recreate, as most of it is leftovers. I was using up those perishables, like you've seen in several other recipes. Like the hash and the easy pie. We had lots of salad in the fridge along with green onions, peppers and a dab of salsa. Looking around I saw the leftover cornbread, that got my mind to spinning on a "TexMex" flavor meal. 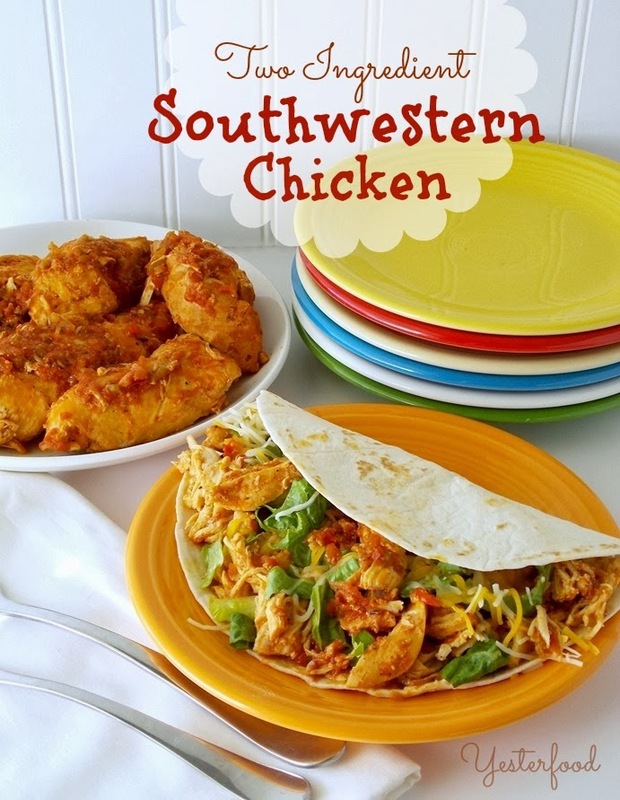 Saute the chicken in a dab of olive oil until brown on the outside, mix your tomato sauce, salsa and taco seasoning together and pour over the chicken. Allow to simmer 20 minutes. Chop the green onions, top and bottom, mix the bottoms in with the chicken and sprinkle with the tops. Slice the cornbread and lay the chicken with sauce on top. Sprinkle with green onions. 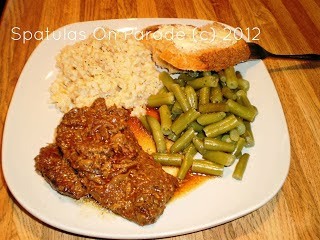 I served this with a Spanish rice and mixed baby greens salad. If you have it, or want a different way, use polenta instead of cornbread or omit both. It is possible that I have lost my mind since moving or misplaced it. No, all the boxes are unpacked, everything is put away. hmmm, maybe I left it behind. What am I rambling on about you ask, the title. 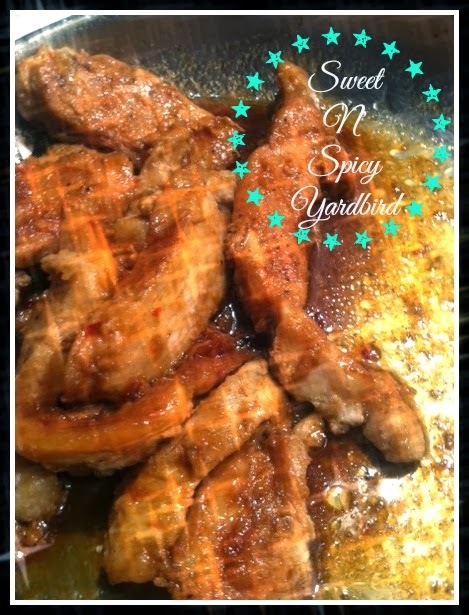 Yardbird...you see, that is what my Daddy used to call chicken, that or yardbuzzard. He called eggs cackleberries. Why, I have no idea. But when I started to edit these photos and was trying to come up with a name, I thought about him. It has been six months since he passed and I swear it is not getting easier. Okay, enough before I started bawling here and the cats think I've gone crazy. When I made this dish, my husband just looked at me. See I don't eat spicy food, he does. My poor delicate system does not tolerate heat well. For some reason, I made this a tab on the warm side and I ate it. Not only did I eat it, I LOVED it. In a sauce pan, combine all the other ingredients and simmer until reduced. When this has reduced, turn the temperature to low. Saute your chicken in a skillet and when done, pour the sauce on top, simmer for a few more moments and serve. You could serve this over noodles, rice or by itself. I'm cutting back, so we just had the chicken and a nice big salad.